Chelsea Peretti, comedian and star of ‘Brooklyn Nine Nine’ has divided the internet after posting a photo of how she eats her cake. The star posted a slice of her cake, which sparked a fiery debate on Twitter about appropriate cake etiquette. The star revealed that she eats around the frosting of her cake because she’s ‘not that into it’. We’re going to need more of an explanation as to why someone would dream of doing this. While some people were pleased to see a star share their eating habit, most social media commentators were triggered by this absurd approach to eating cake. Here at 9Honey Kitchen, we’re sorry to see a decadent slice of mud cake be torn to shreds. 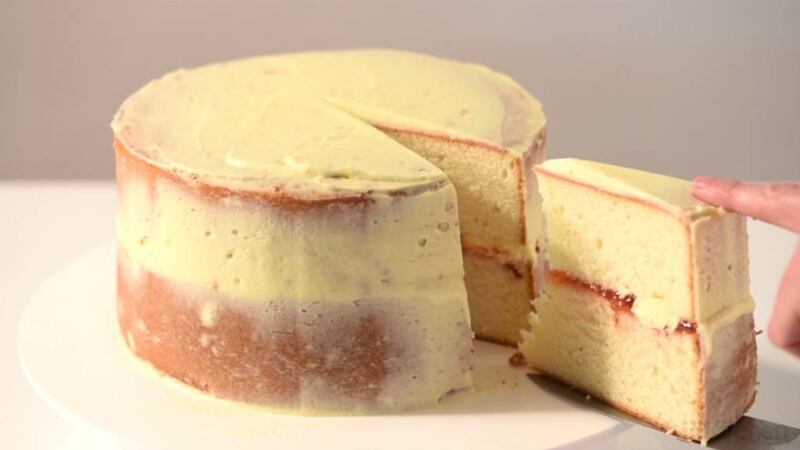 Because the icing is the best part, and just to prove how much we care about the icing’s contribution to a cake’s overall deliciousness, see above for how to carefully ice a naked cake. On the flip side, Peretti had some supporters hail her a hero for disclosing this unique method.